Good I hope and well into summer vacation already, I assume. Yesterday was the last day of school for my oldest daughter (they had a ton of make up days due to all the snow days earlier this year) and she couldn't be more excited for summer. I'm sure she has visions of water parks and ice cream cones dancing in her head...hopefully I can come through on a few of these in the very near future. As for my youngest daughter - I'm almost positive yesterday was the start to a very long summer. Unfortunately for her being the little sister she gets left out a lot; she doesn't have many kids her age in our neighborhood and the few that are - have parents like us who don't feel comfortable sending their kid on a play date for any long period of time (if ever) when they aren't present. I'm hoping maybe once she is able to start school, making her own friends, going to her own birthday parties/sleepovers - she'll have a better understanding of what's really going on and therefore be able to handle it a bit better. Until then lets just hope that having mommy here to wipe away the tears will be good enough. For today in my little creative world I wanted to share a card I made for my older brother. 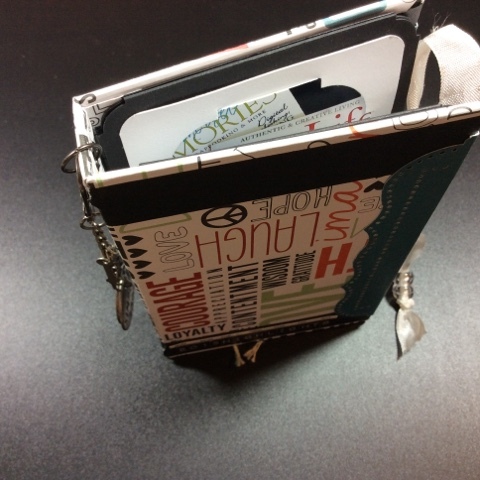 I used the Tim Holtz pocket watch die by Sizzix to create the entire piece then added some metal gears that I picked up at Michaels inside the piece. 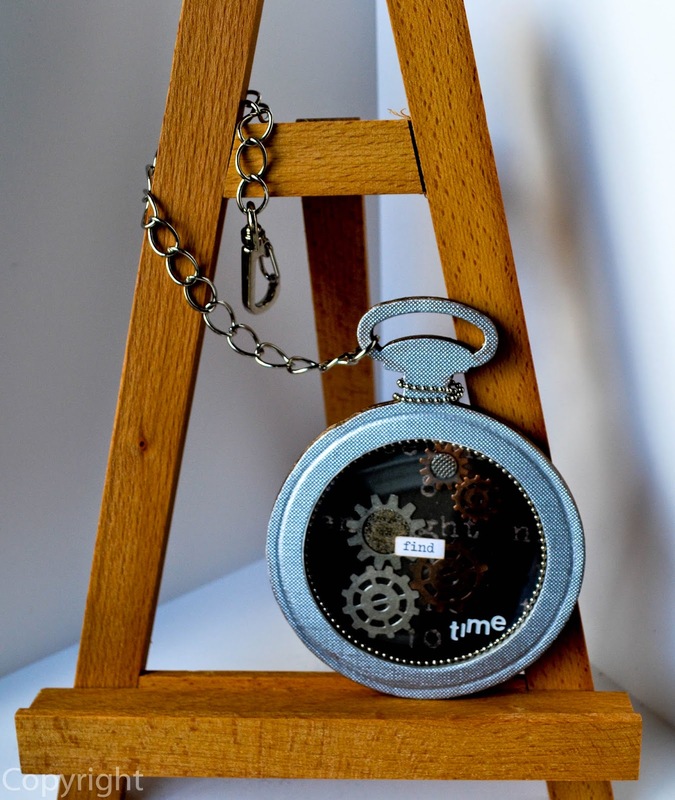 Using the leftover plastic packaging from one of my recent purchases I used the Sizzix' circle die in Tim's collection to create the 'glass' in my pocket watch. On the outside but within the circle where the 'glass' meets the 'frame' I added a beaded chain for aesthetic reasons then added a couple of sticker words and called it done. I think next time I create a time piece with this die, I will make it a working watch, not sure how just yet but wouldn't that be super cool? For the back of this piece I used a piece of pattern paper from my stash and then added the word life with some letter stickers. 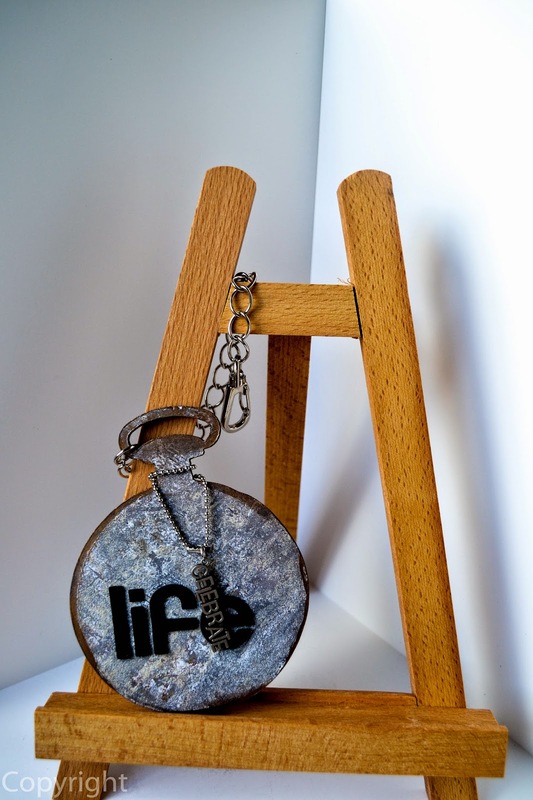 To finish it off I used an oldie but goodie...a Making Memories metal charm that says, 'celebrate' which paired with the word 'Life' makes for a fitting birthday sentiment if you ask me. To make the pocket watch look even more real I added a chain and a clip on the end of it so that you could hang it anywhere without worrying about losing it, just like the real thing. So there you have it, if you have any questions you know what to do and I thank you for stopping in.